With most parts of the state being within easy driving distance of Washington D.C. and Philadelphia, Maryland is uniquely positioned for entrepreneurs looking to purchase and run a successful business. Due to its proximity to D.C., the economy of Maryland is stable and prosperous, as it is driven by federal spending on institutions that are vital to the nation as a whole. In addition to this, the state also has thriving biotechnology, agricultural and manufacturing sectors, creating diversity that has largely shielded this state from economic disturbances in the past. Why is Maryland a good place to buy a business? Maryland is a relatively expensive place to operate, as its high population density ensures that its cost of living is higher than many other states in the Union. 1) Easy access to Washington D.C. Entrepreneurs operating in sectors that regularly conduct business with the federal government should jump at the chance to purchase a business in Maryland. For example, many business people here are running companies that regularly coordinate with the Department of Defense, its various intelligence agencies, and other branches of the government. rbs of Maryland an attractive move to make. Additionally, the generous salaries and employment security enjoyed by those working in the civil service makes Maryland a very attractive business environment for entrepreneurs that are looking to sell their goods to consumers. Entrepreneurs in Maryland enjoy higher-than-average support from the community than in other states in the region. Consumers here tend to be politically liberal when it comes to where they spend their money. This makes them more likely to support local businesses over corporate chains, opening the door for business people that are looking to do their own thing versus buying a franchise. Furthermore, the state government offer initiatives that favor small business owners. The Maryland Industrial Partnership (MIPS) is a prime example of this, as it provides a grant that allows businesses to partner with local colleges and universities to carry out research that benefits both students and entrepreneurs. Although the economy in Maryland is presently in a healthy state, there is still a surplus of talent available for businesses that are looking to hire. This allows entrepreneurs to pick the best possible candidates instead of having to settle for ones that require remedial training. Additionally, the state of Maryland has spearheaded a youth apprenticeship program that is seeking to promote careers that will be in demand in the years to come. 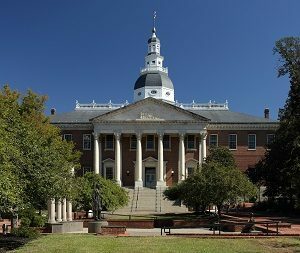 Combined with the balanced labor market that currently exists, it appears that Maryland will have a rich pool of applicants to choose from for the foreseeable future. With a variety of sectors driving the economy, Maryland is an attractive place to purchase an established business. Despite its elevated cost of living, entrepreneurs with a sufficient cash runway will likely enjoy success here in the long run.